I did get a lot of sewing done amid the summer fun and craziness. There's a lot, so I'll try to organize it. First off, I made a bunch of bathing suits. I made suits for all my kids and husband and even my niece too. First row: board shorts from New Horizons, raglan from Bella Sunshine. Baby suit from Peek-a-boo designs. Girls suits from Boo! Designs. Men's board shorts from Jalie. Next, I made several new tops, bras, and dresses. The first line is a dress, top, and maxi dress from the Sinclair Patterns Betty dress. The second row doesn't show up too well with this cropping, but it's the Greenstyle sports bra, Makebra DL02 bra, and Porcelynne California Dreaming bra. The pink top is the Love Notions Harmony top and the blue one is the Love Notions Rhapsody top. The light blue dress started off as the Seamwork Mojave dress but I made tons of changes to get this dress. The last row is actually my project from today. It's the Megan Nielsen patterns Karri Dress. 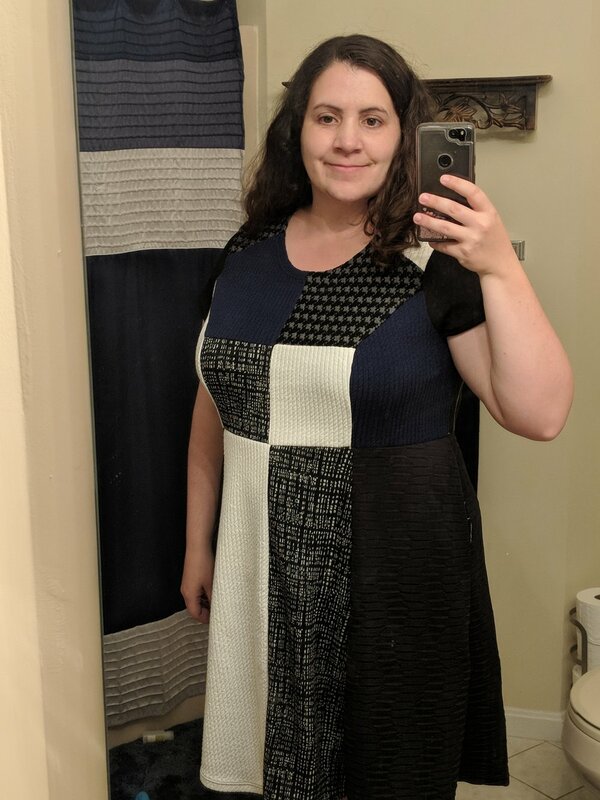 That's a woven dress pattern but I graded it out to fit me and made it in knit scraps. I really like the result. Next, kid clothes. Brown Alpine Shorts and Reef Walkers from New Horizons Designs. Alpine pants from the same corduroy fabric for my baby. The yellow shirt is a school shirt that I cut down and turned into a shirt that fits with the New Horizons Cascade Tee. The purple floral dress is the Ellie and Mac Be Dreamy Dress. Purple striped dress is the Gracie Dress from Blaverry patterns (discontinued pattern company). Pink with unicorns is the Me Hearties Dress from Patterns for Pirates. The reversible bucket hat is a free pattern from Oliver + S. The underwear is kids Scrundlewear and Boxerwear from Stitch Upon a Time patterns. The skirts are Nina skirts from Blaverry. The space turtle tee is the Jackalope Tee from Momma Quail patterns. The mermaid kitty shirt is the Hey June Camden Raglan. The Moana shirts are the Tidal Top from Love Notions Designs. The space wolf and space pegasus are the Cascade Tee from New Horizons Designs. Whew! That was a lot. Here's some miscellaneous projects. We made marble necklaces for end of year gifts. The hat is a baby gift for a friend. It's from Made by Jack's Mom. The baby blanket and color book are a baby gift for another friend. The second color book will go along with the hat. 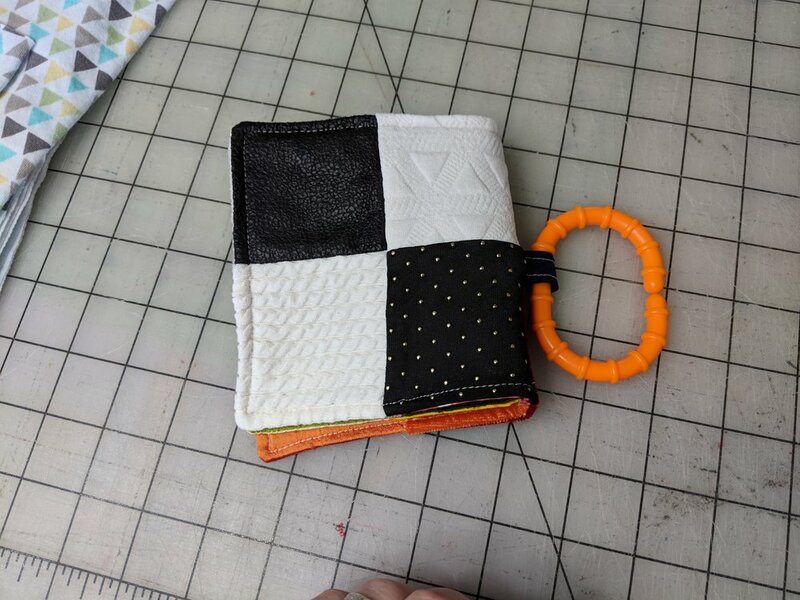 Finally, I did actually make a few purses this summer. Funny, huh! I made a nautical clutch for a customer from the Barrelette Clutch pattern. I made my mom a purse to take with her on her missionary service for my church. I actually bought and used a pattern from another designer! I made her the Speedwell Sling by Blue Calla Designs. 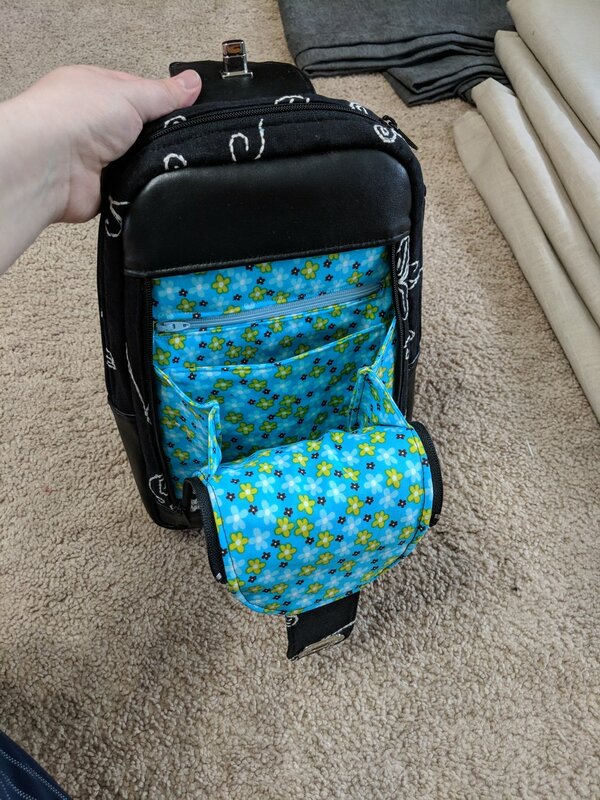 Finally, I made a new backpack diaper bag for myself. I did use a picture as inspiration but came up with the pattern myself. It turned out pretty well. Not perfect, and it was a ton of work, so I'm not sure if it will end up as a pattern that I sell, but we'll see. I have a long list of upcoming projects and patterns to work on. I also hope to start doing more selling of handmade items once my kids go back to school.